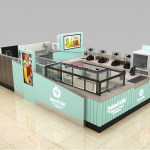 A dream juice kiosk, a beautiful juice kiosk, a high-end juice kiosk. Drink a cup of juice, feel cool of juice, you are in the juice business ? 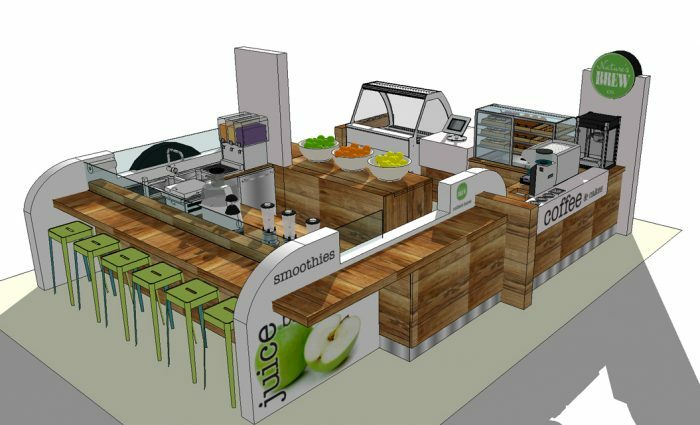 if yes, are you need a juice kiosk to make your business better? our workshop has all kinds of juice kiosk, I can provide you some, now, please allow me to show you a beautiful and dream juice kiosk. Some images of our juice kiosk. 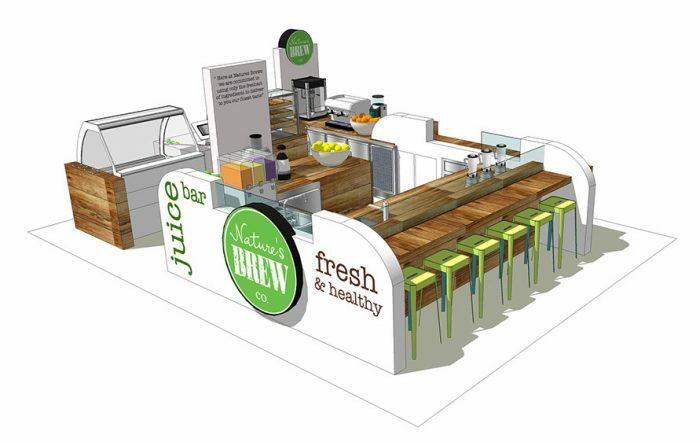 the juice kiosk has two parts, one part can be used to sale juice, the other can be used to sale coffee, we can see, there is a table on its behind, customers can drink juice and coffee on there, the juice kiosk has glossy interior and veneer. the juice kiosk’s material is mainly wood, and its color is mainly brown, that make it looks very fashion, it looks very clean and tidy, what’s more, the juice kiosk has durable material, exquisite workmanship, perfect layout. Then let us see its basic information. Materials list: MDF, glossy painting, wood and so on. Size: 6m by 3m or custom-made according to your need. 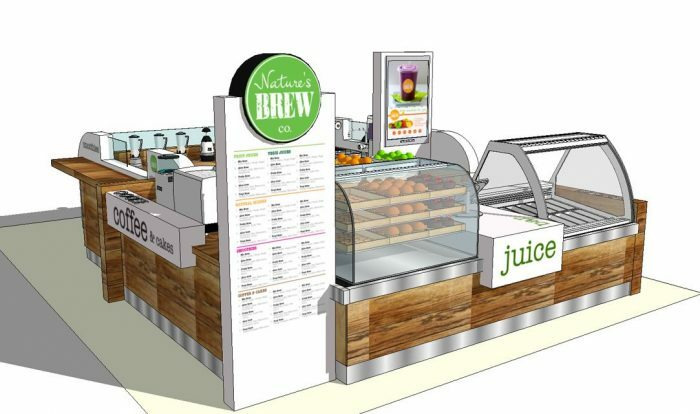 1,The design of our juice kiosk. 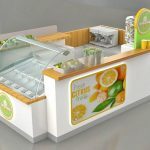 we can according to your need to design our juice kiosk, if you have any question about our design, we will correct it until you satisfied the new design. 2, The price of our juice kiosk. (1)We are direct manufacturer. We offer the cheaper price than the trading company. (2)We are professional in this field since 2006. Manufacturing in BUILK lower our material cost. Comparing with the industrial company, we can provide more competitive price. 3,The service of our juice kiosk. First, if you contact us, we will give you the best service , we will give you our hearts. Second, we will give you the best products, and never cheat you, we will try our best to satisfied you. 4, you should do to get our juice kiosk. Step one, contact us, tell us which juice kiosk do you like, what color do you want, what size do you need, then we will according to your need to custom-made it. Step two, wait, make a juice kiosk need some time, so you need to wait some time before we finish the juice kiosk, but we will take photos to you during the production, we will let you know the progress. Finally, thanks for your reading, if you want to know more information, please contact us, we are looking forward to your inquiry.